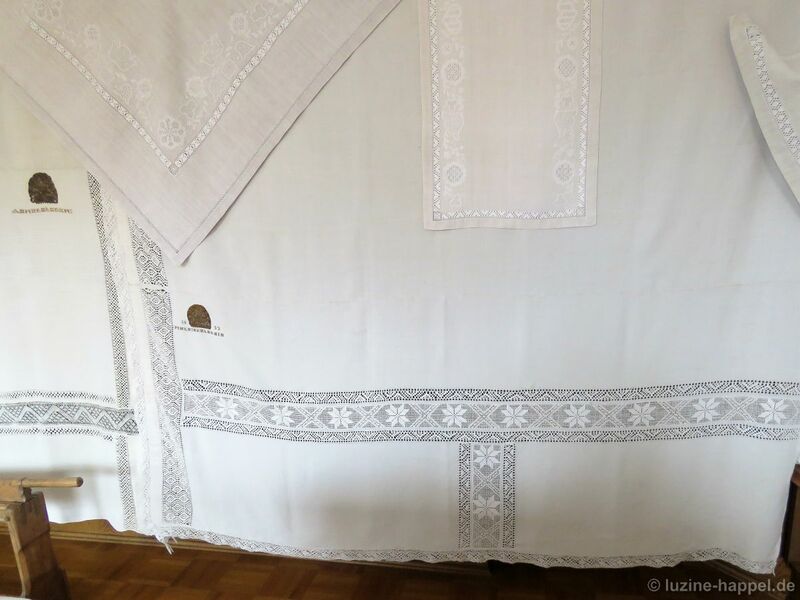 The area in and around Neukirchen, in the Schwalm, was a hotspot for making bobbin lace. 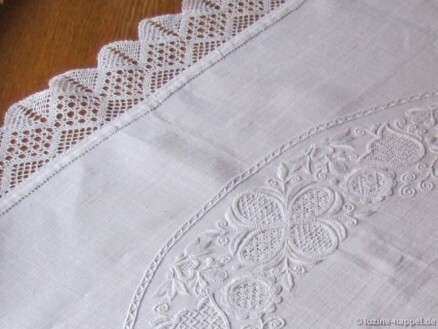 So it is not surprising that bobbin lace is found on both different garments and different linens. 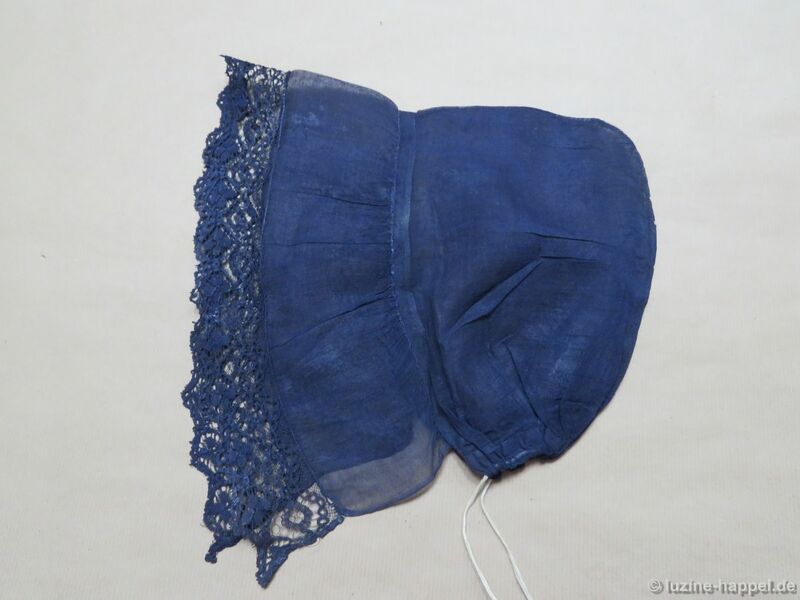 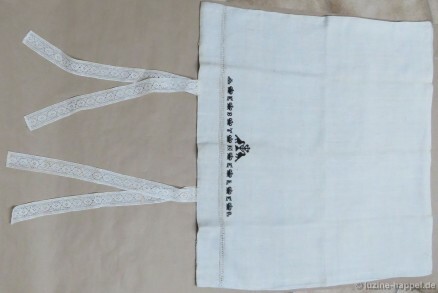 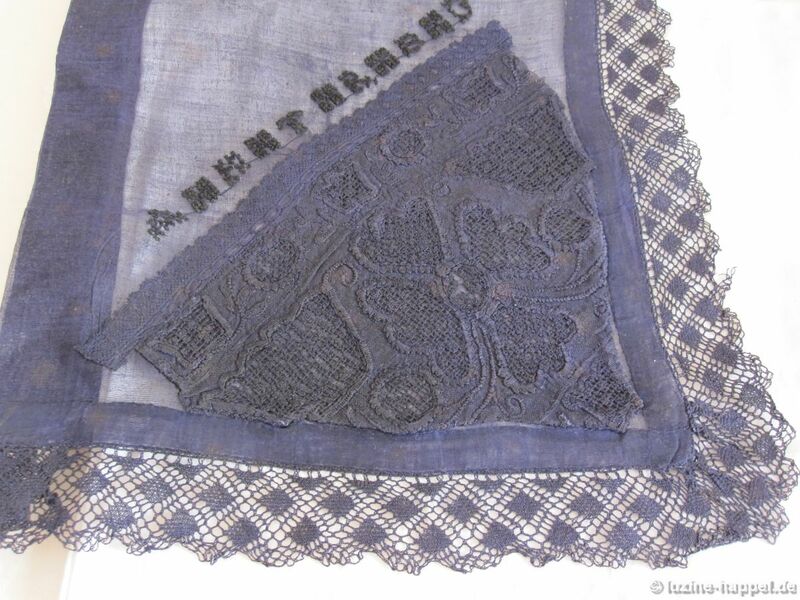 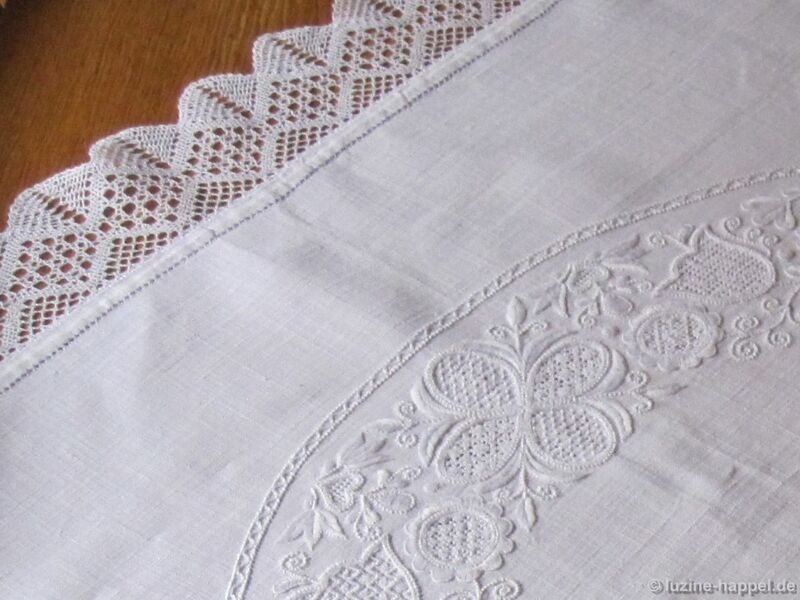 As already mentioned in the article Historical Schwalm Whitework and Lace, bobbin lace, in combination with Schwalm whitework, is found at the sleeve cuffs of the blue bodices and at the edges of the dyed-to-blue decorative handkerchiefs. 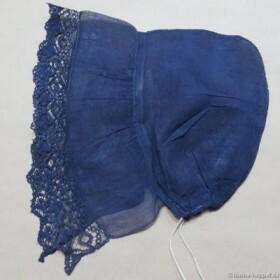 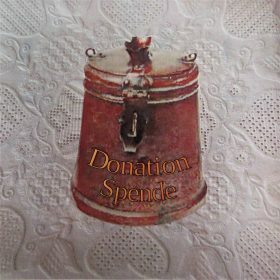 Bobbin lace is also found on bed coverings, door hangings, and at the front edges of the dyed-toblue communion caps. 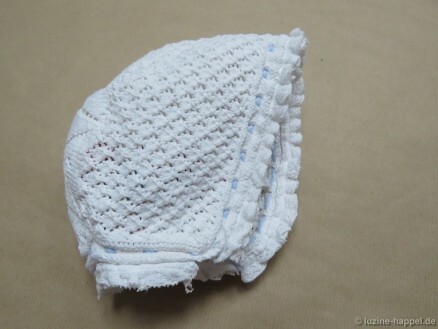 It is also found on knitted baby caps.